Dog owners and breeders in B.C. 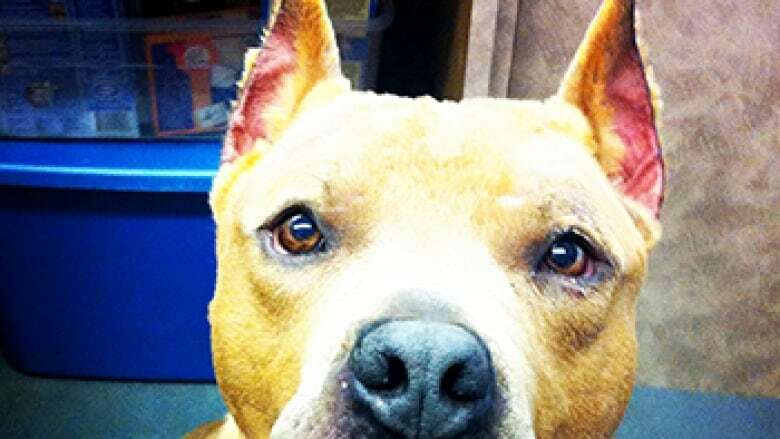 will no longer be able to get their animals' ears cropped by vets, after the College of Veterinarians of B.C. voted to ban the cosmetic procedure earlier this week. "Ear cropping is an unnecessary procedure unless carried out in cases of injury or for reasons of health concerns," college registrar Larry Ode said in a statement issued after the vote. While the ban may raise concerns with owners of certain breeds that traditionally have their ears cropped for competitions, Ode said veterinarians have an ethical responsibility to the animals they treat. "Ear cropping goes against that responsibility," said Ode. There is no scientific evidence that supports a welfare or medical benefit for ear cropping, but evidence does show a detrimental effect on behaviour and canine communication, according to the college. The move was applauded by the B.C. Society for the Prevention of Cruelty to Animals. "For nearly two decades, the BCSPCA has been on record opposing procedures such as tail docking, ear cropping, devocalization and declawing that impact an animal's ability to experience good welfare and to express natural behaviours," said BCSPCA CEO Craig Daniell. "This decision ... is a significant step forward in the humane treatment of animals in our province and we are extremely pleased to support and endorse this change." The college promises any vets that continue offering the service will face disciplinary action from the college and possible charges. B.C. 's Prevention of Cruelty to Animals Act authorizes the SPCA to investigate and recommend charges against any person, veterinarian or otherwise, believed to be carrying out such procedures, he notes. The Canadian Kennel Club (CKC) issued a statement opposing the ban, saying it supports the rights of breeders whose breeds have traditionally been cropped to make their own decisions. "Breeders deserve the right to choose to have this practice done; and further, that veterinarians deserve the right to choose to perform the practice," said the statement. "The practice of ear cropping is a significant part of the history of many breeds or purebred dogs. Breeders of purebred dogs continue this practice for not only historical reasons but also to promote safety in performance activities and to promote hygienic animal husbandry," said the statement. The CKC also noted the practice of ear cropping continues to be available in other countries, including the United States. Despite the CKC's opposition, Ode said the ban brings the province in line with many provinces in Canada, and with the Canadian Veterinary Medical Association's position on the practice. The association has encouraged breed associations and kennel clubs to change standards and their stance on cosmetic alterations. "One concern that breeders have is that their dogs will not be able to compete against cropped dogs in shows. However, this is changing. In the United Kingdom, the Kennel Club prohibits dogs with cropped ears from competing in shows; breed associations here in Canada and North America could do the same," said the statement. Countries and regions that have already banned ear cropping, include much of Europe, Australia, and New Zealand. The procedure is also banned by veterinary regulators in Manitoba, Saskatchewan, P.E.I., New Brunswick, and Nova Scotia, while Newfoundland and Labrador has a legal prohibition against ear cropping.